Samsung is all set to increase its lineup of smart fridges, and is going to launch six new models in 2017 to take its total offering to 10 models in the segment. Unveiled at CES 2017 Las Vegas, the next generation Family Hub 2.0 refrigerators would include both three-door and four-door French door models in addition to the 4-door Flex models. 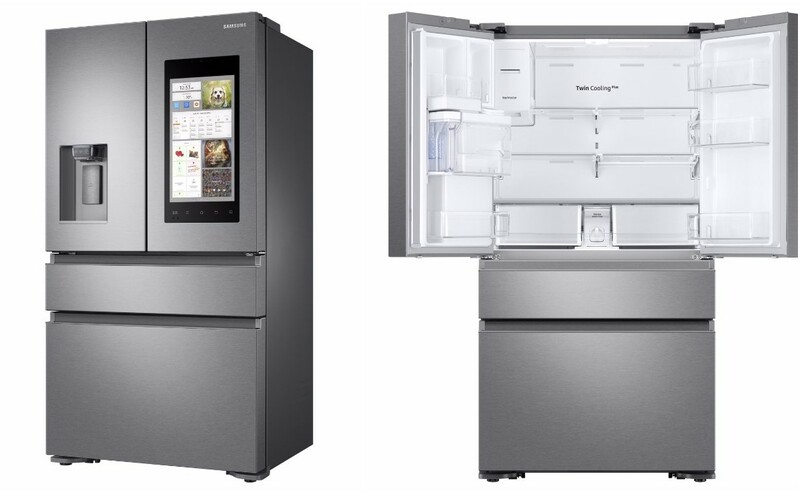 Samsung has updated its Hub 1.0 OS to the advanced Hub 2.0 for its next generation smart fridge with enhanced usability and improved integration with the app. The new line of Family Hub 2.0 fridges come with a 21.5-inch LED screen which allows different users to create their own profiles with avatars or personal pics. Using the Family Hub app on their smartphones, users can share photos, calendar schedules and hand-written memos. The Family Hub 2.0 smart refrigerators boast of Samsung’s advanced voice technology. Using only voice commands, users can order groceries online, manage calendar schedules and to-do lists, as well as ask for the time and weather. Usability and food management takes a boost with the new Family Hub 2.0. The refrigerators come with internal cameras that let users view the contents. Now, without having to open the fridge doors users can determine which items need replenishing, add images of those items to a shopping list and order them online using the ‘Groceries by Mastercard’ app. Additional features include recipe read out and enlarged text via the AllRecipes-powered app, making multi-tasking in the kitchen easier. Samsung hasn’t commented on the price of the new Family Hub 2.0 models yet, but be prepared to shell out a decent sum for these awesome smart fridges for your smart home.